What do you mean, I can’t step into my puddle? Not even this little bitty part of it? You always let me step in it before. I might step on them? I might step on what? You think I might pop those bubbles? Since when did you care about a few bubbles? This is two years in a row that my puddle has had tadpoles. I can’t wait till they turn into tiny little toads and hop away. Because if I try to drink my puddle water now it might tickle my tongue. Sci Fi, last year the most fun part was when they turned into little toads and hopped all around my puddle. Wrsurya, thanks for the reblog. Of course I do think all these things. I’m a pretty impressive dog. Lily & Edward, I think we’ve both been having that same puddleless problem. Although the rainy season has finally hit in Arizona. Karen, I just hope I get some little toadies hopping around like last year. Oh, no! Not the tadpoles again! Somebody has got to tel them about the ownership of this puddle! They can’t be occupying your puddle at its best times! Marina, I guess the word has gotten out about how great my puddle is. Those tadpoles better watch out though because the javelina like my puddle too – and they’re way worse. We must have tadpoles too because a big bullfrog moved into my back yard. I’d ont know what he’s croaking about but he’s loud. I hope your tadpoles aren’t as loud as this guy. Lola, these tadpoles turn into little tiny toadies. There were a bunch of toadies last year hopping around everywhere. Gah! 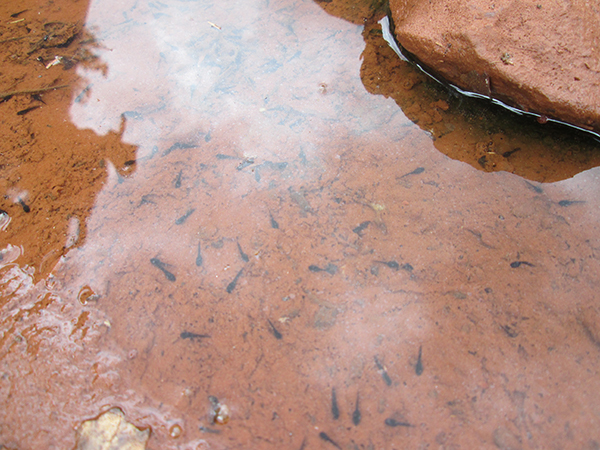 Tadpoles took over the puddle! Invaders. Good idea not to taste them. Cupcake, at least those tadpoles don’t stick around for long. They turn into toadies and hop away. Where do you live? In CA? Where are you? Can you please give me a message when you get back from your trip. What is going on with your cat buddies? Quinlyn, I’ve been hanging out at the dog hotel and my people went to Minnesota. I’m not sure what those cats have been up to, but I’m going to find out. how was your trip? Was it good?! Quinlyn, I had fun hanging out at the dog hotel. My people had fun too, but they didn’t want to take me on an airplane. I don’t know why. what do your people call you as your nick name? Quinlyn, I mostly get called Bongo. Sometimes they call me Bongo Dog. Is there any way I can create a new blog instead of re- blogging? I’m trying to add a blog about bipolar dogs. Quinlyn, there are about three places to click on New Post. The one on the top right of your screen is the easiest but doesn’t give you all the options. Go to your Dashboard, put your mouse over Posts in the menu bar on the left of your screen, then click on Add New. Type in a title, and type in your text. You can also click the Media button to add pictures and videos. 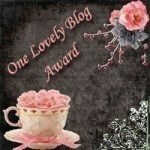 I’m trying to make a new blog, not a new Post. Have you ever heard someone say your a smart dog or good dog?! Then if not, I guess I’m the first one to say it– your a very smart doggy! Thanks Quinlyn, you’re the best! Can you please answer as soon as you can? Kevin, I was so looking forward to more little toads but somebody stole my puddle. 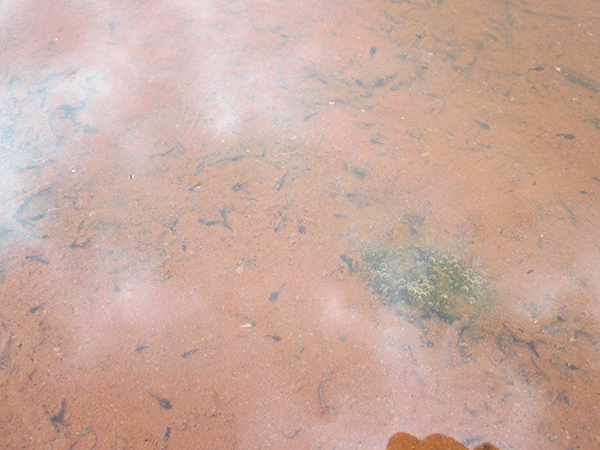 Last year that happened and when the puddle came back more tadpoles hatched. I hope that happens again this year. Patrecia, that would be really weird to have a frog hopping around in my tummy. 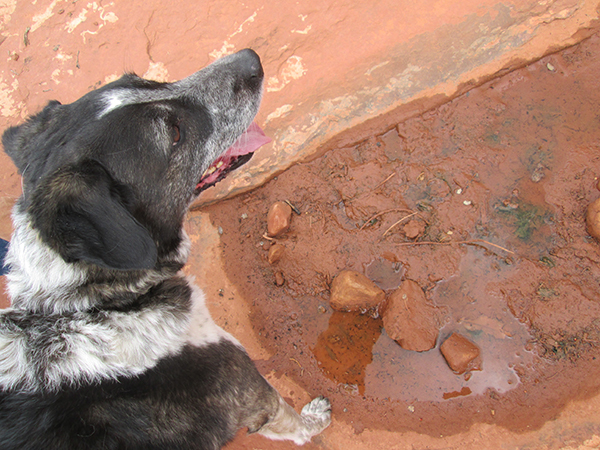 Mica, I wish my puddle had as much water as your creek. I might have to borrow some.